Home | Vitamins | Letter Vitamins | Vitamin B | Biotin (Vitamin B-7) | Biotin 10000 mcg. 60 servings per container. Contains 60 vegetable softgels. Biotin is rated 4.0 out of 5 by 1. Rated 4 out of 5 by CRCO from I elected this product as Vitamin World no longer offers Biotin 10,000 MCG. I prefer to take less, rather than more pills per day. 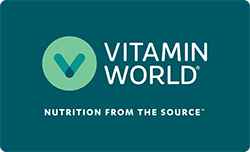 This brand offers 10 more capsules per bottle than Vitamin World's offering, but is not eligible for the BoGo as a result of it not being their brand. Regardless, I am staying with Solgar brand as it appears to produce the same result and will not be subject to the changes Vitamin World regularly makes in their offerings...so long as they carry Solgar going forward...who knows?